When you are injured, you’ve probably noticed the difference in recovery time between yourself and elite athletes. Professional athletes seem to recover from surgery—and even return to play—before you even consider taking your gym membership ‘off hold’ and getting back into any form of regular exercise. Often, when preparing for surgery, you put your training on hold, and cease all activity for several weeks or months before deciding to ‘get back into it’. Feeling like you’re starting all over again can be so frustrating! So how do elite athletes do it so quickly? 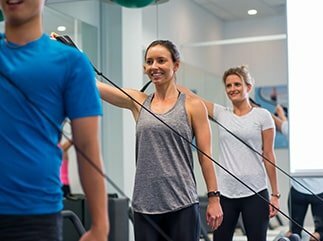 Not only do they have an enormous drive to return to sport, but combined with access to top notch physiotherapists and other health professionals and dedicated gyms, they have the ideal environment for a speedy recovery. One key element is that everyone is pulling in the same direction helping the athlete achieve their goals – of returning to sport. Read on for Lauren’s top tips for helping you to recover as quickly as possible without losing track of every other element in your life. It is imperative that your sports doctor, surgeon, physio and trainers all work with each other—as well as YOU—when establishing safe programs and time frames to return to activity post-surgery. Make sure your equal team understands you and your goals. A good Physio will always ask you this. Every patient is different and they may not know how much you are missing your fiends while you aren’t going to the gym. 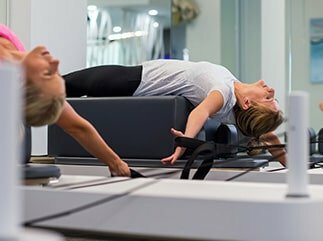 Whether it’s a knee reconstruction, a rotator cuff repair or carpal tunnel release, you are going to have some restrictions and will require some modifications of your training regime. Remember, modification definitely doesn’t equal cessation. Continuing to train in an established ‘safe zone’ can actually assist in healing, maintain healthy weight, maintain muscle mass and assist in motivation and emotional well-being. In other words, we would rather set up an alternate fitness program for you in your recovery phase than tell you not to do anything! Physiotherapists and surgeons will advise what activities you shouldn’t be doing, but they are also very helpful in working out what you CAN do! It is important your medical team start out by setting goals and check that everyone—including you—is on the same page. In the early stages most patients will have a set of exercises they are required to do (at least daily) as ‘rehabilitation’. These exercises make an excellent base for the warm up, and having a qualified health professional supervising these exercises and ensuring they are done correctly can be invaluable. For example, many post-operative shoulder clients have been known to do their rehab exercises followed by some High Intensity Interval Training (HIIT) on a bike, functional lower limb exercises or weights as soon as one week after surgery. So if Pilates is your thing, or lifting weights in the gym with mates is what gets you through the week, we’d love to keep you there. Just ask what’s appropriate and our aim is to KEEP people exercising – not stop them. Lauren Gradwell is a APA Titled Sports Physiotherapist. Her main interest is treating shoulders including guiding the long and complex rehab involved following shoulder surgery. Lauren is returning from maternity leave in July 2018 and available for appointments online or by calling 9968 3424.